Bring some warming beauty to your home with this fragrant sampler candle from Yankee Candle. This festive fragrance is both warming and refreshing, giving life to Christmas joy. 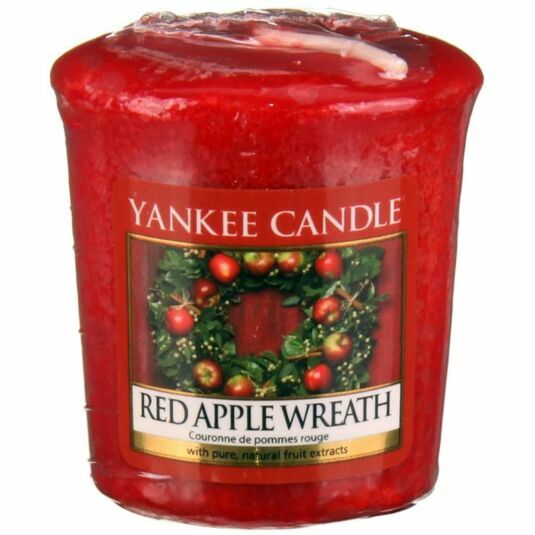 With the crisp scent of apples, cinnamon and walnuts together with a hint of maple, the scents combine to ignite the happy occasion that is Christmas. This Samplers Votive candle has a burn time of up to 15 hours and is perfect for fragrance layering, as well as sampling new scents. The sampler candle is a fabulous way of introducing yourself to a new fragrance.